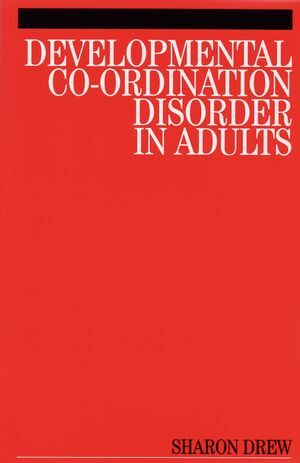 This textbook provides readers with an insight into Developmental Co-ordination Disorder (DCD) in adulthood and the impact it has on everyday life. Potential areas of difficulty are outlined, together with potential solutions and strategies that can be utilized by individuals to improve their personal, social and working lives. Sharon Drew, Consultant Occupational Therapist, Dyscovery Centre Director, UK. Chapter 1. What is developmental co-ordination disorder (DCD)?. Chapter 2. The developmental course of DCD. Chapter 5. The adult learner. Chapter 6. The dault at work. Chapter 7. The adult at play. Chapter 8. The adult at home. Appendix I: The adult learner. Appendix II: Assistive technology & ICT. Appendix III: The adult at work. Appendix 1V: The adult at work. Appendix V: The adult at play. Appendix VIII: Glossary of terms.